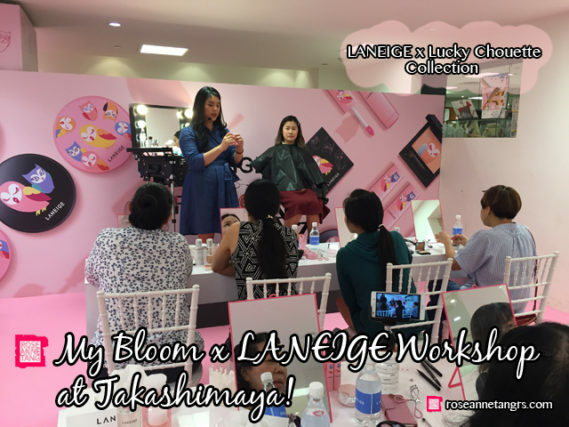 A couple weeks ago, Laneige invited Bloom over to do a couple of workshops for the LANEIGE meets Fashion collaboration with Lucky Chouette! 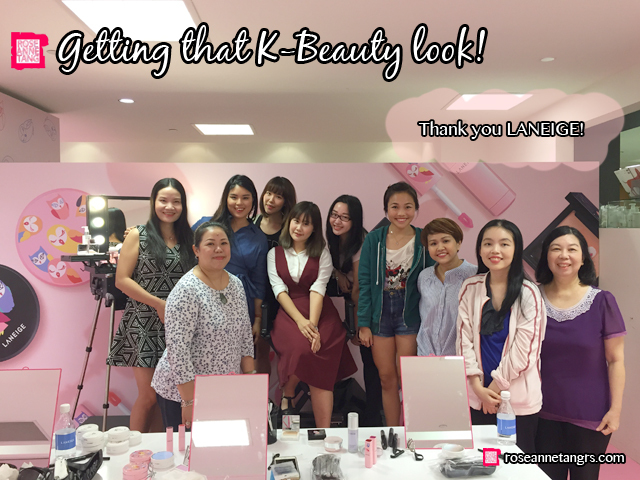 I was thrilled because LANEIGE happens to be one of my all time favourite Korean make-up brands. I have pretty much finished three whole boxes of Pore Control BB cushion and recommend it to be the best to all my friends and all of you as well. Today I thought I’d share with you a little more about the collection and how the workshops went! I hope you can join me for future make-up workshops too! 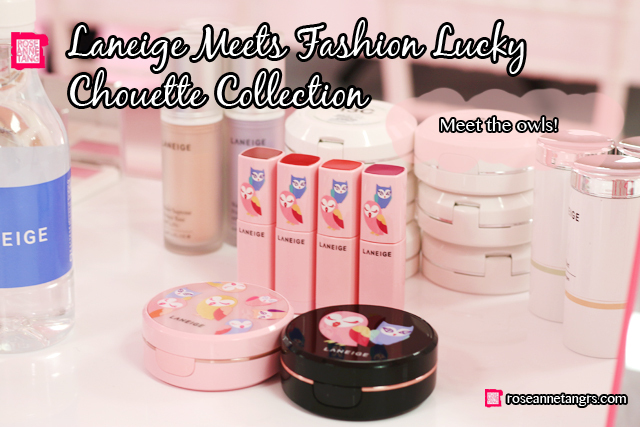 Every year, LANEIGE pairs up with a Korean fashion brand for their LANEIGE meets fashion collaboration. This year it’s the fun-spirited Lucky Chouette known for Korean street style and fun. For this collaboration, you’ll see owls as their choice pattern, named Bella Chouette and Vely Chouette that represent different personalities. You can be the fun and daring Bella or the more reserved and mysterious Vely. 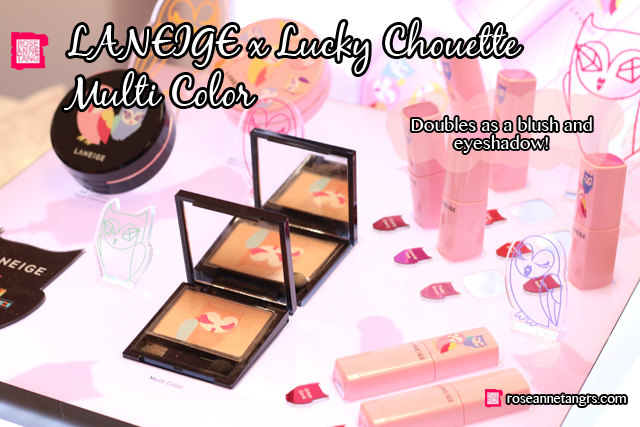 The collection features the LANEIGE Pore Control and Brightening BB Cushions in the featured packaging which is so cute as well as the Serum Drop Tint – a new lip color product that features vivid pigmentation and a glossy finish. The star of the collection is the Multi Color, which can be both a blush and an eyeshadow in one. The palette is however quite sheer which helps with the translucency of Korean make-up. It also is an amazing highlight for that beautiful Korean glow. In the workshop, I used the orange on Bella’s body as my all over lid color, and the blue as a defining shade. Then, I used all the colours combined into one as the highlight and it looked beautiful on the skin. The set-up of the event was amazing. They totally transformed the Talking Hall at Takashimaya and I have to say it was such a beautiful workshop set-up. The workshop was $50 to attend, but totally redeemable in products which made it super worth it. You also walked away with a LANEIGE goodie bag and a free small brush set. 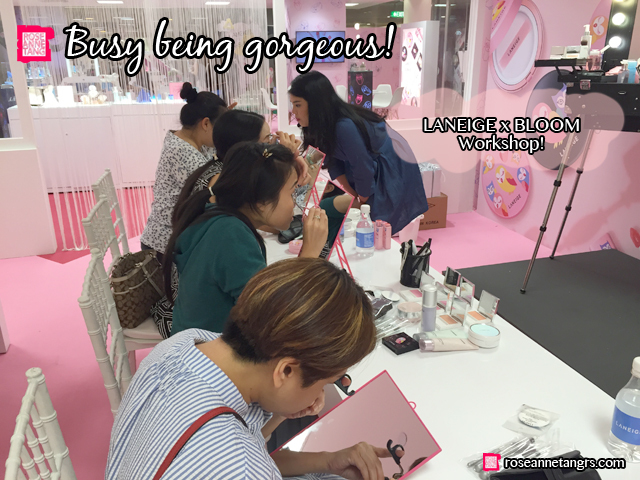 You need to join more LANEIGE workshops in the future! Thank you to all the amazing participants who came for the workshop. I really hope you enjoyed it as much as I did helping you out with make-up! Here are some pictures! Overall, it really was a great time with LANEIGE! Be sure to check out their future LANEIGE meets fashion collaborations in the future! I highly recommend the following products from LANEIGE – the LANEIGE Pore Control BB Cushion, Water and Serum Drop tint lip products and seriously the entire Waterbank range. Biggest THE BALM Make-Up Haul , Ever! | Swatches & Giveaway! 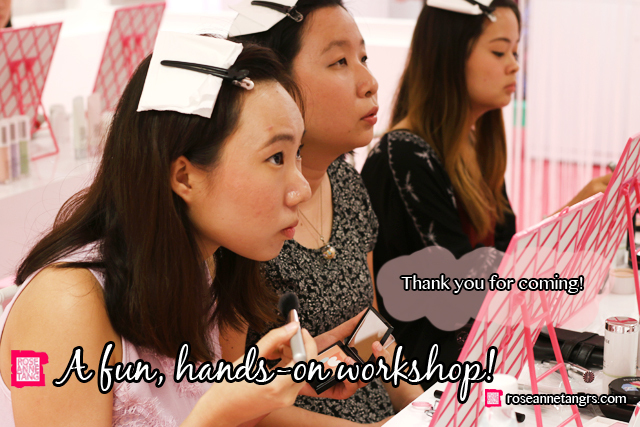 My Bloom by Roseanne x Clinique Pop Matte Make-up Workshop @ Tangs! 5 Hilarious Beauty Products That are Sure to Make you Gawk! Top 5 Fall/Winter 2011 Make-Up Trends and Tips from the Runway! Top 5 Tips to Finding the Perfect Lipstick for You!